Twitter's closed-door meetings with staff follow similar briefings from Facebook earlier this month, and the House and Senate panels have invited both tech giants, along with Google, to appear at public hearings this fall. The committees are scrutinizing the spread of false news stories and propaganda on social media, to what extent Russia was involved and whether anyone in the United States helped target those stories. Unlike Facebook, which has said phony accounts on its platform attempted to stir up divisiveness in the election, Twitter has remained mostly silent. The two social media companies have different types of platforms, as Twitter allows users to register anonymously and has more public accounts than Facebook. Many lawmakers have expressed concerns about the proliferation of anonymous "bots" on Twitter and their potential to spread misinformation. Virginia Sen. Mark Warner, the top Democrat on the Senate intelligence panel, said Wednesday that he hopes Twitter will be forthcoming. "They have obviously a different business model, and also they've never tried to prevent fake accounts, use of bots," Warner said, comparing the company to Facebook. "They don't deny they have allowed more anonymity. So they've got a different business model, we've got different questions for them." Still, Warner said, the investigation is ultimately up to how people manipulated both of those platforms. "People deserve to know," Warner said. 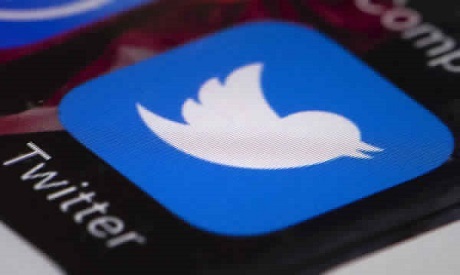 Twitter last week confirmed that officials would be meeting with the Senate panel and issued a statement pledging to improve defenses on its platform. "Twitter deeply respects the integrity of the election process, a cornerstone of all democracies, and will continue to strengthen our platform against bots and other forms of manipulation that violate our Terms of Service," the company said in a statement. Staff on both panels are likely to ask Twitter about the bots, and also about some of the potential vulnerabilities in terms of tracing potential foreign intrusions. There have been concerns among some lawmakers that the company doesn't move quickly enough to remove posts and isn't able to track the original postings that were spread and retweeted. Twitter, Facebook and Google haven't yet said whether they will accept the invitations to testify publicly before both intelligence committees. The House intelligence committee is planning to hold a hearing in October and the Senate intelligence committee has invited witnesses to appear on Nov. 1. Rep. Adam Schiff of California, the ranking Democrat on the House Intelligence Committee, confirmed the House invitation in an interview with the AP, though he noted a date had not yet been set. The details of the invitation from the Senate intelligence committee were confirmed by two people familiar with the panel's interactions with the companies. They spoke on condition of anonymity to discuss the private invitations. The companies have some incentive to comply, as Warner and Minnesota Sen. Amy Klobuchar have said they are preparing legislation that would enhance transparency for online political ads and require social media companies to keep a public file of election ads and communications. The bill would also ask companies to "make reasonable efforts" to ensure that election ads are not purchased directly or indirectly by a foreign national. Warner said it's his "hope and expectation" that the companies would work with him on the legislation, which he called "probably the lightest touch possible." Congress so far has been reluctant to regulate social media companies. But Warner and Klobuchar started working on the legislation as Facebook acknowledged that the hundreds of phony Facebook accounts, likely run from Russia, spent about $100,000 on ads aimed at stirring up divisive issues such as gun control and race relations during the 2016 campaign. Facing pressure from lawmakers and the public after that original announcement, Facebook CEO Mark Zuckerberg said last week that the company will provide congressional investigators with the contents of 3,000 ads bought by a Russian agency, while also pledging to make political advertising on its platform more transparent. "I don't want anyone to use our tools to undermine democracy," Zuckerberg said in a Facebook video and wrote in an accompanying post. "That's not what we stand for." On Wednesday, a GOP member of the Senate intelligence panel said Russian internet trolls are exploiting the controversy over NFL players kneeling during the national anthem to stir up divisions in the United States. Sen. James Lankford of Oklahoma said paid social media users, or "trolls," were hash-tagging "take a knee" and "boycott NFL" to amplify the issue.